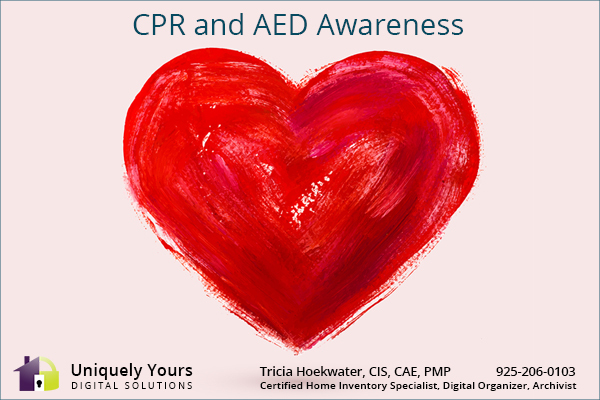 In 2008, Congress designated the first week of June for observation of National CPR / AED Awareness Week, with the goal of encouraging all states, cities and towns to establish organized programs which provide CPR and AED training to the public. By participating in the program, we can raise the public awareness regarding Sudden Cardiac Arrest and increase the chance of survival by being trained in CPR and the use of an AED. • Almost 300,000 casualties of out-of-hospital cardiac arrest are treated each year in the U.S.
• Less than one-third of out-of-hospital sudden cardiac arrest casualties receive bystander CPR. • Effective bystander CPR, provided immediately after a sudden cardiac arrest can double or triple survival. • Unless CPR and defibrillation are provided within minutes of collapse, few attempts at resuscitation are successful. • New technology has made AEDs simple and user-friendly. Clear audio and visual cues tell users what to do when using an AED and coach people through CPR. A shock is delivered only if the victim needs it. Catastrophe can happen in an instant. Protect yourself and your hard-earned possessions with a complete professional inventory! Contact Tricia via phone at 925-206-0103 or by email uniquelyyours@outlook.com to schedule your inventory today.